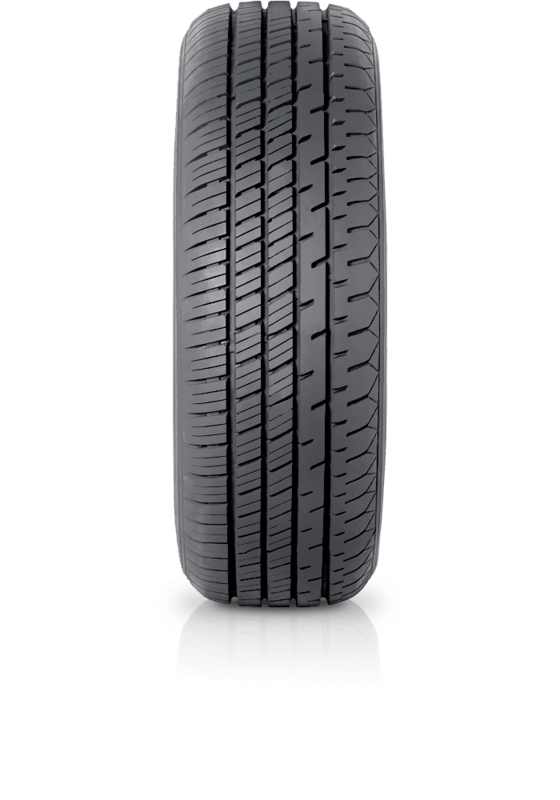 Hankook Radial RA14 is an all position tyre for vans and people movers. Hankook Radial RA14 is an all position tyre for vans and people movers. This tyre is designed to carry heavier loads than regular passenger cars. It features reduced swerving when cornering and less side wear means tread uniformity and enhanced handling. Four straight grooves line the tyre which improve water drainage properties. In additional to this, the lateral grooves and unique tread pattern give excellent handling and control in wet weather. Shorter braking distances are also possible thanks to the optimised tread design. The Radial RA14 is the tyre for you if you are looking to get the best performance from your vehicle under all conditions.